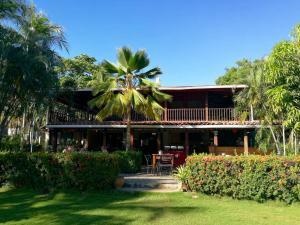 ﻿ Best Price on Villas San Angel in Coco + Reviews! 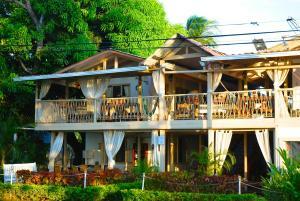 Just 200 metres from Playa del Coco Beach, Villas San Angel offers an outdoor pool and a terrace with BBQ facilities. 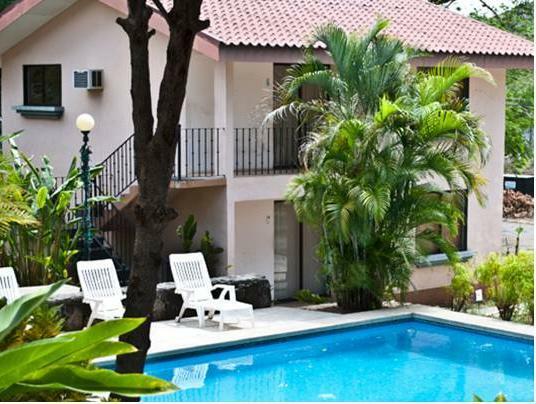 Each air-conditioned apartment has a balcony overlooking the tropical gardens. The San Angel apartments feature bright, functional décor and free Wi-Fi. All apartments have a living-dining area with flat-screen cable TV, a bathroom with free toiletries and a kitchenette with a microwave, stove and fridge. Free private parking is available on site. At an extra cost, Villas San Angel can arrange airport transfers, visits to the Arenal Volcano National Park and activities such as snorkelling, rafting and canopy tours. Villas San Angel is situated in central Coco Bay, within a 5-minute walk of several restaurants, bars and convenience stores. Liberia Airport is a 40-minute drive away. Please let Villas San Angel know your expected arrival time at least 2 days in advance. You can use the Special Requests box when booking or contact the property using the contact details found on your booking confirmation. Please note that the first night of the reservation must be paid in advance (see Hotel Policies). Once a booking has been made, the property will contact you directly to arrange payment by bank transfer or PayPal. A security deposit of USD 100 is required upon arrival for incidentals. This deposit is fully refundable upon check-out and subject to a damage inspection of the accommodation. Payment before arrival via bank transfer is required. The property will contact you after you book to provide instructions.